What have you against comic books? Why is everyone shitting on him now? Okay, so I just read The Crying of Lot 49. 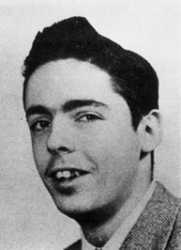 It was alright, but I really like Pynchon's writing style and have an itch for more of him. What should I read next? His big books, Gravity's Rainbow, Mason & Dixon, and Against the Day seem like his best works, but they are huge and I don't really want to dive into anything mega right now. I'm not sure about his other works. Inherent Vice and Bleeding Edge don't seem that interesting, and I'm not sure about V or Vineland, Vineland seems like an interesting book but I've heard its his weakest work. But the same can be said about weed? do you think there'll ever be a biography on him?